The development of a new microchip for cell phones that knows the user’s location to within a few centimeters confirms the fact that contrary to biblical fears about mandatory implantable microchips, people have willingly exchanged their privacy for convenience and that the cell phone itself is the de facto “mark of the beast”. “Broadcom has just rolled out a chip for smart phones that promises to indicate location ultra-precisely, possibly within a few centimeters, vertically and horizontally, indoors and out,” reports MIT Technology Review. Over 82% of Americans own cell phones, with around half of these being smart phones. In the near future, the majority of Americans will own smart phones that will have the ability to track their location down to a few centimeters. With the effort to legally establish surveillance drones as a legitimate tool in domestic law enforcement, authorities could save a lot of time and money by simply requesting cell phone companies provide real-time tracking of suspects via their smart phones. Indeed, Apple, Google and Microsoft have all been caught secretly tracking the physical locations of their users and saving that information to a file. How long is it before such data is instantly available to law enforcement bodies on demand, just as governments are legislating that ISPs and cell phone companies divulge our web browsing histories, email, texts and call information? Biblical fears about the ‘mark of the beast’ being an implantable microchip forcibly injected into our foreheads have proven to be off base. Coercion was not necessary because people have been enticed into willingly giving up their privacy for convenience. Indeed, paranoia about not being able to buy or sell without the ‘mark’ is now coming full circle with the increasing use of cell phones as payment gateways linked to credit cards. Peer pressure and cultural brainwashing has also played a role – someone who doesn’t own a cell phone will find it almost impossible to operate in the modern world unless they live like a recluse or make a living by running a farm in the middle of nowhere. The ‘Internet of things’ – where every appliance is connected to the world wide web – has been hailed by spooks as a green light for ubiquitous panopticon-style surveillance of the individual. 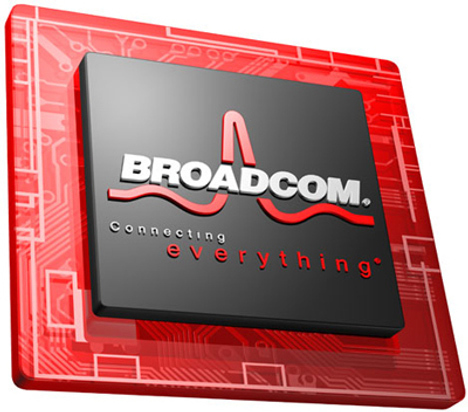 Broadcom’s new microchip will also make it easier for industry to accelerate plans to use Minority Report-style targeted advertising against consumers. The only way that technology can advance without destroying basic human rights in the process is if strong new legislation is passed increasing the penalties against both industry and government for using such technology to spy on users. However, the opposite is happening, with each new technological leap being dovetailed by aggressive efforts on behalf of the state to eviscerate what little privacy rights we have left.